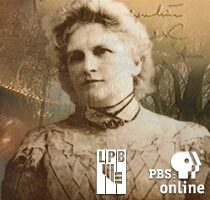 This site is a companion to a PBS program on the life and work of nineteenth-century Louisiana author Kate Chopin. Visitors to this site will find a clip from the documentary, the transcript, excerpts from interviews made during the production, and a chronology of Choplin's life. The site has an electronic library containing the fulltext of _The Awakening_ and twelve short stories as well as related links, bibliographies, primary sources, and an extensive list of selected criticism. This is an excellent site, for it links Chopin's life to her work. The texts of eight short stories (some not often anthologized) and Chopin's novel The Awakening are included in the Electronic library provided. I often teach Chopin and I often refer students to this site for information not presented in class. Only one of the links on the Additional Resources page works. It would be helpful to update this page with working, perhaps more recent links. You just viewed Kate Chopin: A Re-Awakening. Please take a moment to rate this material. If you know the author of Kate Chopin: A Re-Awakening, please help us out by filling out the form below and clicking Send.